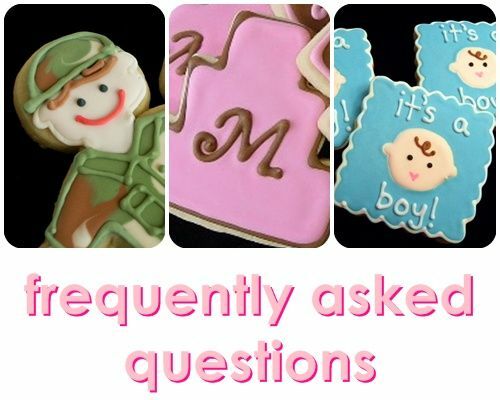 Last week, I asked for your questions about cookie decorating, and you all had a couple! ;) I'll be splitting this up into 3 posts....this one, one of royal icing specifically and a third on troubleshooting. Some questions fall into all three categories, so check for the next couple of weeks for your answer. If for some reason, you don't see it, please feel free to email me. What sugar cookie recipe do you use? This one is my favorite. Sometimes, I change up the extracts, but this makes a perfectly yummy and sturdy cookie on which to decorate. A lot of the recipes call for "softened butter", so I usually use the butter that comes in a tub. Do you think that could be my problem? Well...I wouldn't go there. I use cold butter; you can read more here. How do you cut a nice cookie without using insane amounts of flour? I actually DO use an insane amount of flour. I flour the rolling pin, I dip my cookie cutters in flour between cuts and I flour my rolling surface (wax paper). Periodically during rolling & cutting, I'll run my hand across the wax paper and rolling pin to make sure I can still feel the flour (even if I don't see it). If I can't feel flour, I re-coat the surface with more. Just sprinkle a couple tablespoons on the surface, spread it out with your (clean) hands, run your rolling pin over it to coat it as well, and you're set. Some have luck using powdered sugar instead of flour...I have tried it and I still prefer flour, but sometimes it's hard to teach an old dog new tricks. How do I roll dough? See the tips above for flouring the surfaces and the cutters. I roll on wax paper, but not in between sheets. I roll my cookies to about 3/8" to 1/4" thickness...I eyeball it. Is it OK to use the "scraps" after cutting shapes from dough? Yes, yes, a thousand times yes! I use my scraps. Just knead them in a little with the remaining dough to incorporate. After cutting out your cookies, how do you pick them up without denting or squishing them? Cold dough, a thickly cut cookie and rolling on wax paper help here. I start with cold butter. Cut out as many cookies as you can from one piece, then scoop up the excess dough. Slide your fingers under the cut shapes and transfer. How do you keep your cookies from getting bumps? It seems that after the first time the dough is rolled out and cut, after that each time the cookies get these air bubbles that ruin the flat surface of the cookie. When you are using dough scraps from a previous cut, be sure to "knead" the scraps into the remaining dough. As you are cutting the dough, if you notice the top layer is lifting, re-knead and re-roll. When rotating cookies in the oven, check for large air bubbles and lightly tap them down with your finger. Otherwise, I wouldn't worry...they'll be covered in icing. 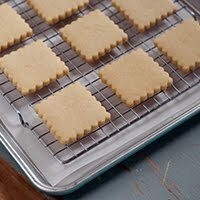 What is an easy, non-intimidating way to start baking/decorating cookies? Just Do It....yes, it's a new Nike for cookies promo. Start with a simple design to get the hang of it. Here are a few from the blog. If flood icing is intimidating, fill in the entire cookie with the thicker piped icing. It won't be as smooth, but it will still be cute! If you are doing a small cookie order for someone - what do you do with the left over dough? What kind of camera/lens/lighting to you use? This may horrify you, but I have a point & shoot camera...a Fuji FinePix that has flour in every crevice. I try to take pictures by a window in natural light...my husband constructed a light box out of white foam board for me, but nowadays, I don't use it much. Most of the finished cookies pictures are taken near the window on my kitchen table. In several of your posts, you say to let the cookie dry overnight. I've always wondered...if the cookie is left out overnight, won't it get stale? Nope, not at all. The icing needs to dry overnight before being packaged. Now, if it's not iced, just let the cookies cool and then put them in a baggie or Tupperware container until you're ready to decorate. I made some spritz cookies recently and added sprinkles. I put the sprinkles on before I baked the cookies. The sprinkles looked melted. Do I have to put them on before I bake them or would it work to put them on right when them come out of the oven? I don't really know about much spritz cookies, but I would guess that you could sprinkle them as soon as they came out of the oven and the sprinkles would stick....kind of like Hershey's Kisses do on those thumbprint cookies. How long will the cookies keep and what's the best way to store them? Once decorated, I think they are best within a week. They stay freshest...is that a word?!? It's late and that sounds weird...either bagged individually or in a baggie. Longer than a week, and I would freeze them. More about freezing cookies is here. Can you freeze cookies? Can you freeze them after decorating? Can you freeze the plain cookies, thaw and decorate them and then re-freeze them? Yes! Absolutely, cookies can be made ahead and frozen, with or with out royal icing! For more details, click here. Now, freezing, decorating and re-freezing, I'm not sure. I don't want to try it and ruin a perfectly good cookie. Anyone else tried it? Anyone? How long do you give yourself if you need to make 3-5 dozen cookies? Well, that depends. OK...I figure it takes about 45 minutes to an hour to bake one batch/dozen sugar cookies. 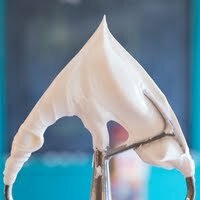 Then, another 45 minutes or so to make and tint the royal icing. Decorating? It really depends on the number of colors and how detailed the cookie design is. Plan on a couple of hours...even with the simplest cookies, you'll have some down time where you are just waiting for them to dry before going on to the next step. If I'm making 3-5 dozen, or more, I usually try to either make the icing or the cookies the day before. Where do you get your cookie cutters? as well as the shops listed above. How do you "fill" a cupcake? Use a large decorating tip...I last used a Wilton 4B. Put the tip in a piping bag, add the filling. Then stick the tip into the top of the cupcake and squeeze. The cupcake should feel full, but not so full that it breaks apart. Where do you get the clear cookie bags? I buy mine by the case from ULine. I buy the 6x10" bags which fit most all of my cookies. They are a little big for cookies 3" or smaller, but that's ok. Overwhelmed? I hope not! Remember...more posts are coming on royal icing and troubleshooting. If you don't see your question here or you haven't emailed it to me, please ask away! You are such a fountain of knowledge! Wow, you've certainly learned a lot about cookie decorating and baking! Thanks for being willing to share! The recipes that call for softened butter may be the chocolate chip and things like that as opposed to sugar cookies. In that case, I use half butter, either left out of the fridge for a half hour or so or nuked on power 3 for 5 seconds at a time, and half butter-flavored shortening that comes in stick form. The butter or margarine that comes in a tub has too much liquid to allow the cookies to keep their shape. Great tips! I can't wait to read the other posts. Bridget, as for the question about the spritz cookies, the easiest answer to decorating spritz cookies is to let them fully cool before decorating. Use egg whites as your "glue" and paint them on your spritz cookies with a small paintbrush (think watercolor paintbrush). Then dip in sprinkles or spoon sprinkles on top. Voila! (I've been making and decorating spritz cookies for Christmas every year since I was six. I guess I'm kind of an expert.) Thanks for all the other tips, too, these are awesome!! Really nice work answering all these questions, I know it must have taken you a long time. Thanks for sharing...I've been a long admirer of your work and blog! Thanks for the information! 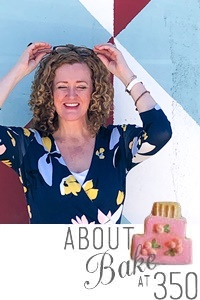 I really wanted to ask you what sugar cookie recipe you use for a long time, but was scared to ask! You are teaching me so much! THANK YOU! Great info.! I know this took a lot of time! I know your fellow cookie decorators will really appreciate it! I love that Army guy pictured! :)One of my favorites. Brilliant! You answered all the questions with all the wit and knowledge of a pro. I too am self taught so I totally understand that trial and error is a huge part of becomming successful (in anything) but especially when working in the cookie art arena. As always, love your post because I always learn something too. Keep up the good work Bridget! Great tips! Bookmarking this for when I finally give it a shot...I just didn't have time to make those present cookies this Christmas. i decorate every spritz cookie i have ever made before it goes into the oven. the only things that have melted while baking are jimmies and sugar pearls. although the chocolate jimmies dont seem to melt like the colored ones. i use dragées, silver, gold and colored. i use sanding sugar. i use mint chocolate chips (which is everyones FAVE, actually i used all kinds of chips, butterscotch, white chocolate, and those dont even melt. i use those cherries that you get at christmas that are like gummies. i have never had a problem with anything besides the jimmies and the sugar pearls. how wonderful of you to share! i am taking notes enthusiastically!!!!!! i made some barn cookies on a stick for my son's bday and they were lovely but i want to learn howt to do so much more! Wow. You are so talented. I am looking forward to meeting you in NY! Awesome Bridget!! and thanks so much for doing this!! I can't wait for the other posts!! I think I've told you before, but I had a Fuji Fine Pix for 5 years before it died and I LOVED LOVED LOVED that camera (my next P&S sucked- then I got my DSLR) both of my daughters have Fuji Finepix cameras too! GREAT P&S cameras!! what do you do with the left over dough? haha! if that were true you'd have a body shape like mine and trust me folks, she doesn't! haha! i bet your family gets the riches from your spoils? and maybe a neighbor or two! Awesome! I feel so empowered now!!! Maybe I will venture beyond chocolate chip & oatmeal to decorated cookies!! Blessings! Hi Bridgit! What an adorable blog you have! Thanks for all of the cooking making info. I have been wanting to make some cookies, now I really do! Great information Bridget! I learned a lot!! You rock girl. Cant wait for the next two installments! This is great info. Thank you! Can't wait to see whts next! I love the fact that you eat what's left over. I've had pretty good luck using your tips. I'm still struggling with getting the icing to actually flood. Seems like I spend too much time with the toothpick. 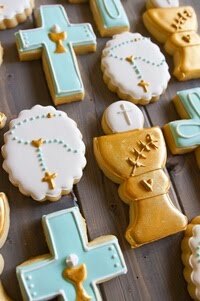 Here's a question - where can we find these cookie cutters? 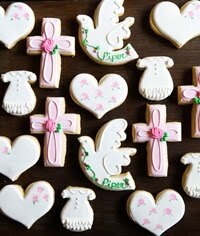 Is there a website that sells cookie cutters indiviually? Is there store/brand/type that you suggest? I love your site. Thank you for bringing a little sweetness (lol) into my sour day today! hooray, that is a lot of great info. Thank you! Wow - lots of great questions and wonderful answers! You're so sweet for filling us all in on your secrets! Great tips. 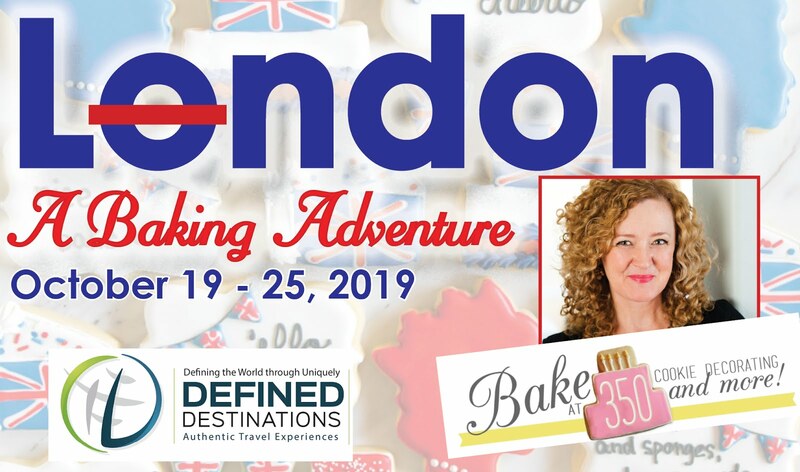 I learned a lot about cooking baking & decorating from you gorgeous blog. Thanks for sharing. I just made a batch of the sugar cookie dough recipe you recommend and they didn't turn out for me. Mine puffed up and lost their shape. I even put them in the freezer for 5 min before baking. I'm nervous about wasting more butter (it's so expensive right now) trying to troubleshoot it before my cookie exchange. Any ideas of what to try would be great! Great tips! And I LOVE Make a Cake.. easily one of my favorite stores in Houston! 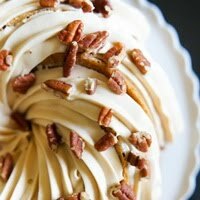 How do you keep your icing so nicely defined on the edges? When I try flooding it's a rotten mess! The first time I tried using royal icing it dried soft, but when I made 4th of July cookies this week it ended up hardening. Is the roayl icing supposed to be hard or soft after it dries?? I've been a long admirer of your work and blog! Love reading this. Thanks for all the other tips, nice work! You are awesome, I can't wait for the other posts!